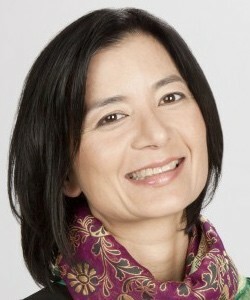 Reeta Roy is President and CEO of The MasterCard Foundation. Prior to joining the Foundation, Reeta was the Divisional Vice President of Global Citizenship and Policy at Abbott, a global health care company, and Vice President of the Abbott Fund, a corporate foundation. During her tenure, Abbott tripled its investment in global humanitarian programs and was named to the Dow Jones Sustainability Index. Previously, Reeta held a number of positions of increasing responsibility at Bristol-Myers Squibb Company. Reeta is on the board of the Global Health Council. She received a Master of Arts in Law and Diplomacy from The Fletcher School of Law and Diplomacy at Tufts University.